The Culinary Institute of America (CIA) hosted its fifth reThink Food conference in Napa Valley this week. Food industry leaders, visionary chefs, growers, entrepreneurs, scholars, scientists, behavioral economists and design leaders all came together to explore how they can best contribute to the major revolution taking place in food. Get a taste of what reThink Food is all about HERE. “Earlier food revolutions changed the course of human history, beginning with the first agricultural revolution, followed by the industrialization of food and then the Green Revolution,” says Jacquelyn Chi, director of programs and special projects at CIA. “Today’s explosion of information technology, with its attendant impacts of massive high-speed computation and mobile connectivity, has unleashed a global conversation about needs, values and aspirations around food and food systems. Think Impossible Burger, cricket flour and even almond milk. Many consumers are very open to science and the food innovations that result. 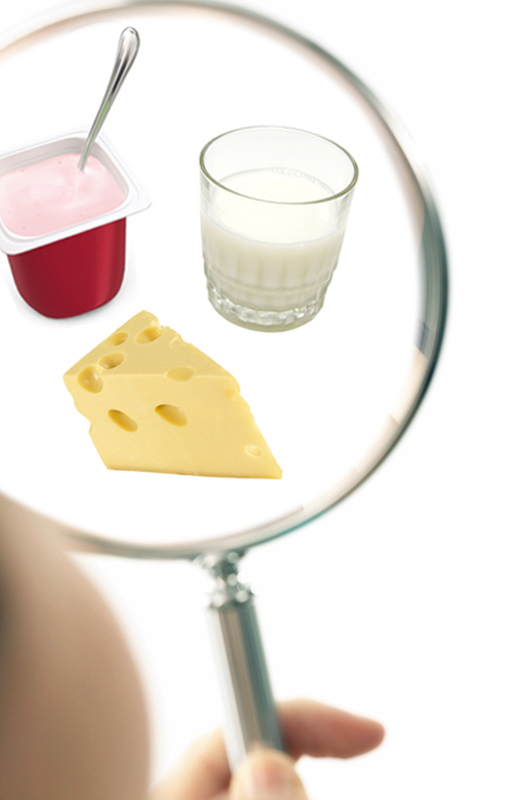 There’s a great deal of “clean-label” science available to dairy product innovators. We need more companies to push the envelope. That’s what fairlife milk did and it has changed the way many of us drink milk. And have you heard about General Mills’ success with oui? Launched in July 2017, this French-style cup-set yogurt comes in 5-ounce single-use glass jars. Not much more than a year after its launch, oui is now a $100 million brand in what is a declining category. This product appeals to the young and old. It’s all about the ingredients, the experience and the connection with the consumer. 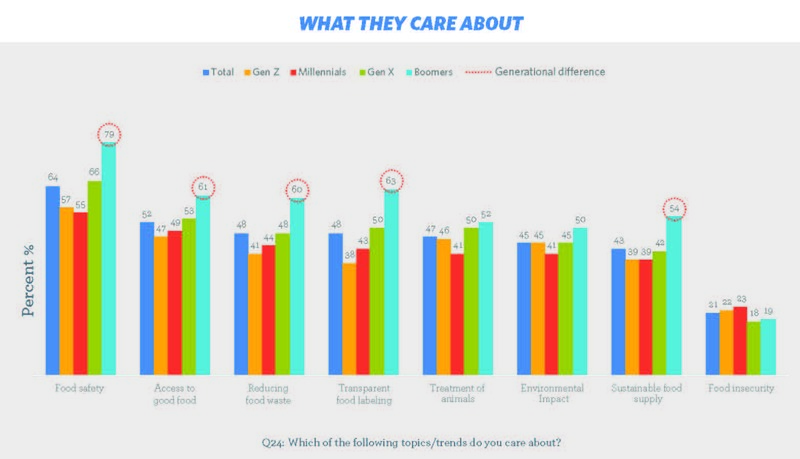 At the reThink Food conference, Kristie Sigler, senior vice president partner at FleishmanHillard, Kansas City, presented findings from a new report that shows when it comes to food and nutrition, there’s an emergence of shared beliefs and behaviors among Gen Z, Millennials, Gen X and Boomers. 91% say food is an important part of their values and belief system. 35% say that food defines them. 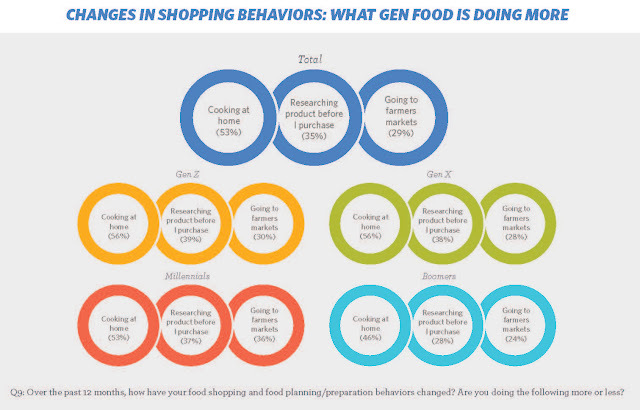 79% feel it’s their role and responsibility to share food information with others. 81% believe they can make a difference in the kinds of foods we eat and how they are grown. 78% have taken action to address food issues important to them, with reducing food waste emerging as their top priority. 60% say they bear the responsibility for improving what and how we eat, more than food companies, government entities or health professionals. The biggest news here is that everyone in the dairy foods chain has the potential to be more effective and efficient by focusing on this highly engaged group of influencers as a way to communicate across all generations. Never forget for Gen Food, food is a personal, connective, human experience. 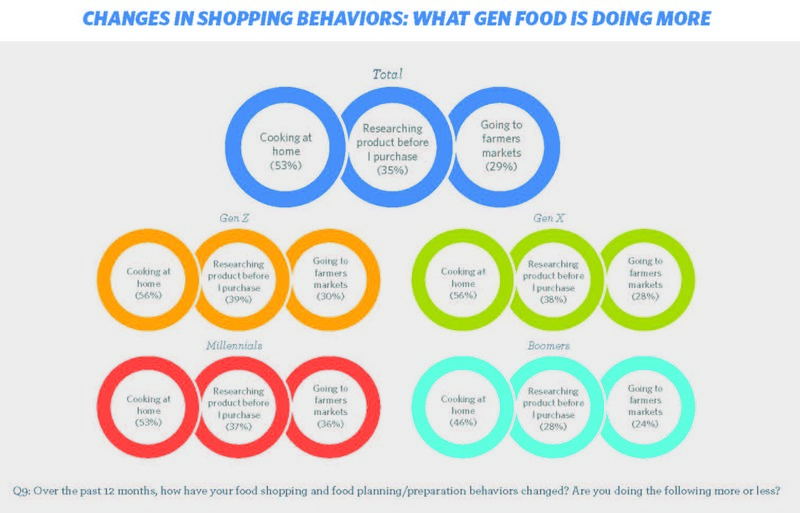 FleishmanHillard’s Shaping the Future of Food study was conducted by its TRUE Global Intelligence practice, which conducted an online survey with 2,001 nutrition-forward consumers September 14-20, 2018, and evaluated drivers related to food, influences and behaviors. Respondents were screened for engagement on such factors as seeking information about food, sharing content about food and paying attention to ingredient lists. You can download the report HERE. It’s time for all players along the dairy industry supply chain to unite to ensure that butter, cheese, cultured dairy, ice cream, milk and yogurt—as is, or in out-of-the-box innovative new formats--are part of the future of food.